Express Service Kiosks from Storm Kiosks Inc., in Calgary, Alta., are changing the way customers interact with automotive dealerships across North America. 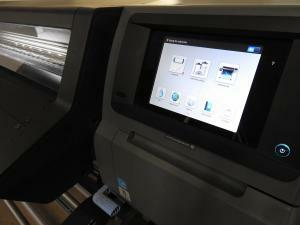 Storm Kiosks Inc., a manufacturer of service kiosks in Calgary, Alta., is helping automotive dealerships in North America set new standards by changing the way customers interact with their service departments. 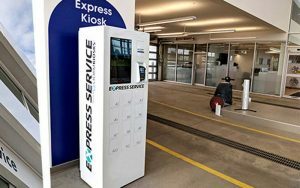 The company’s Express Service Kiosk offers customers an automated 24-hour pick-up/drop-off method, which also provides vehicle owners with a notification once service is complete. According to the company, dealerships using these automated kiosks have seen a higher return on investment (ROI) by driving upsells and promotions straight to the customer. Storm Kiosks Inc., owned by Simon House and Nathan MacKenzie who have more than 30 years’ experience in the technology industry, has partnered with a number of direct merchant services and payment providers to allow dealerships to seamlessly integrate with the company’s web-based service dashboard which monitors appointments and repair order integrations. Alberta Calgary Kiosks Storm Kiosks Inc.